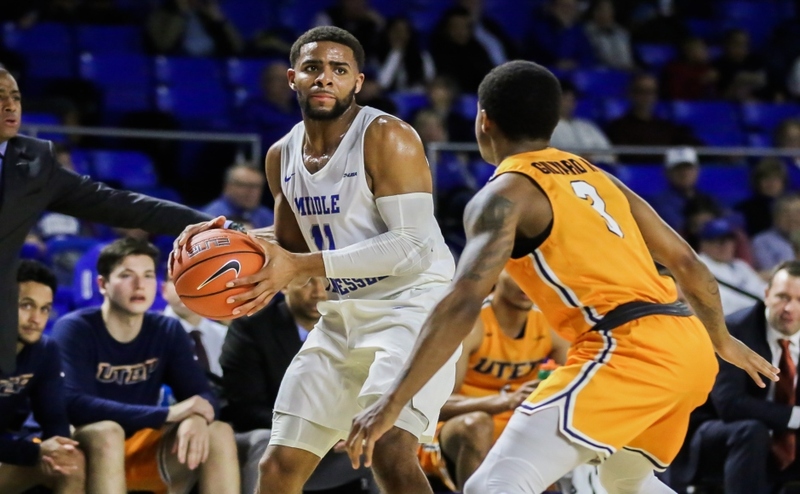 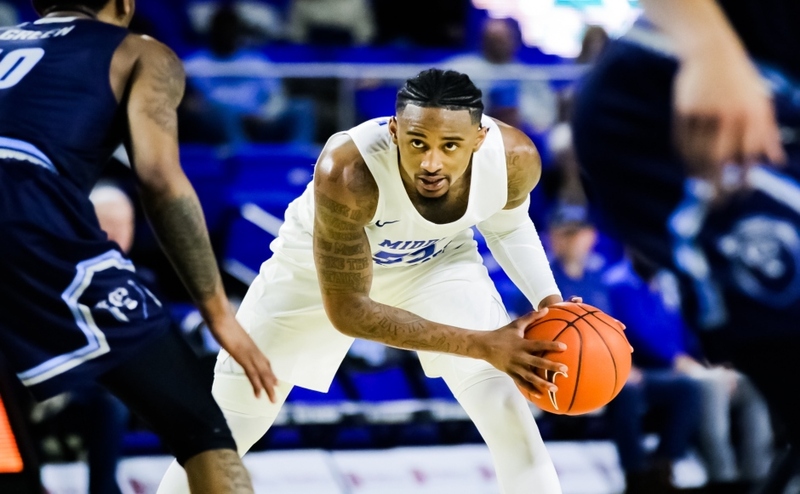 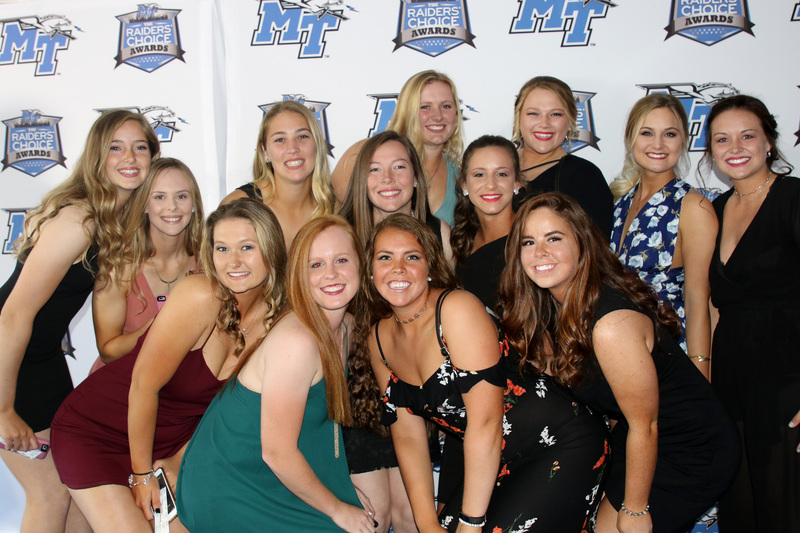 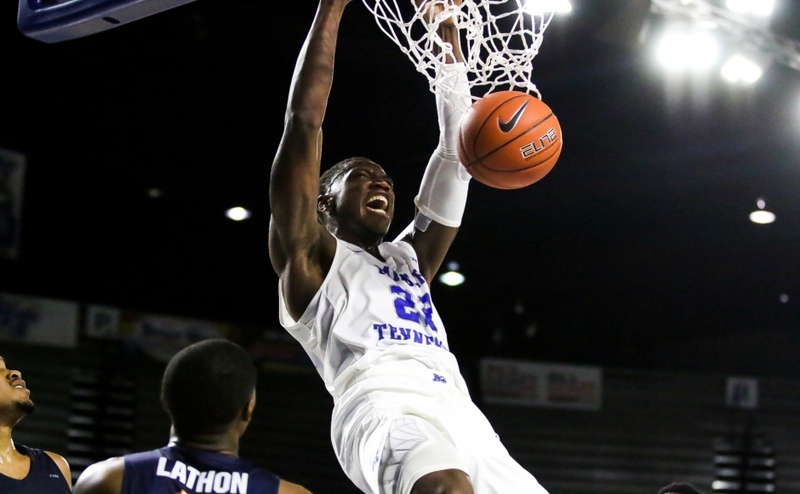 Middle Tennessee State athletes of all realms came together Thursday night at the Tucker Theater in celebration of the Raiders’ Choice Awards. 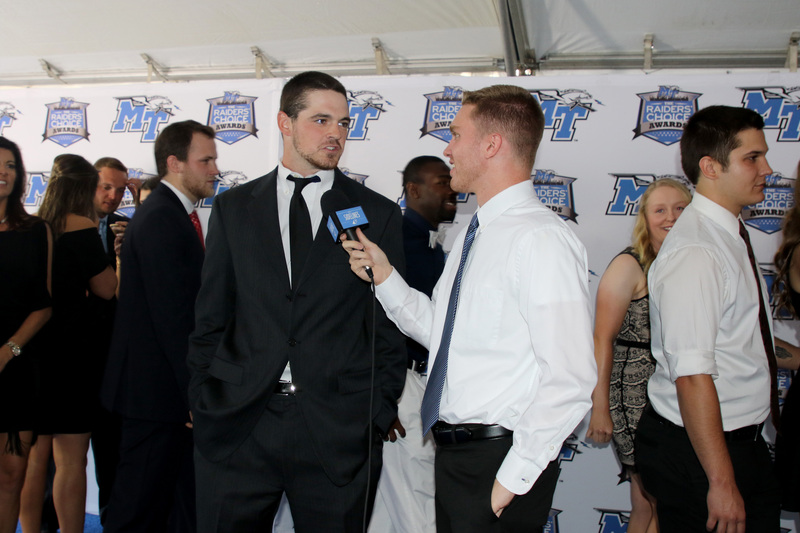 The sixth annual ESPY-like event honored athletes for their accomplishments both on and off the field. 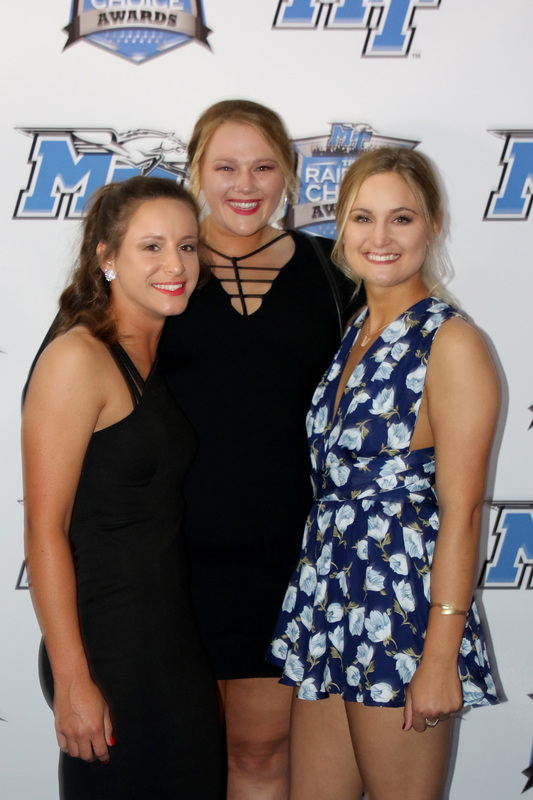 From Player of the Year to Play of the Year, the athletes reminisced on a very special 2016-2017 athletic year. 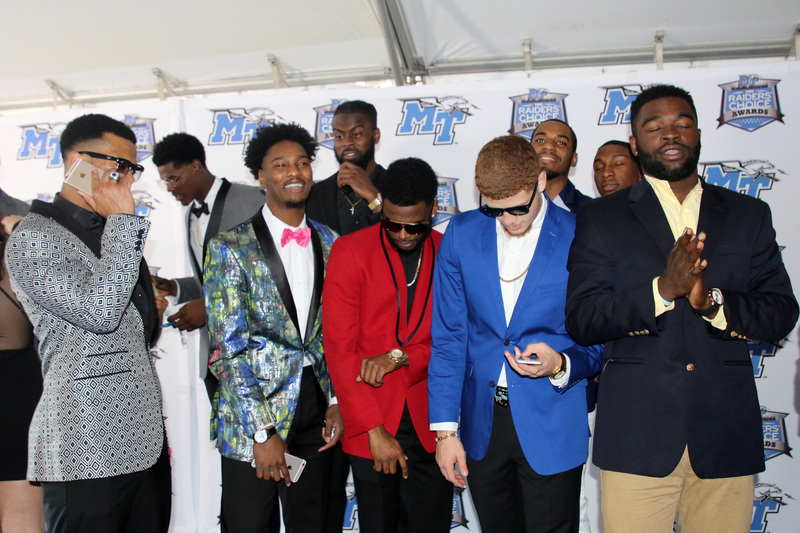 But before the awards can be handed out, all must take part in one event: the Blue Carpet walk. 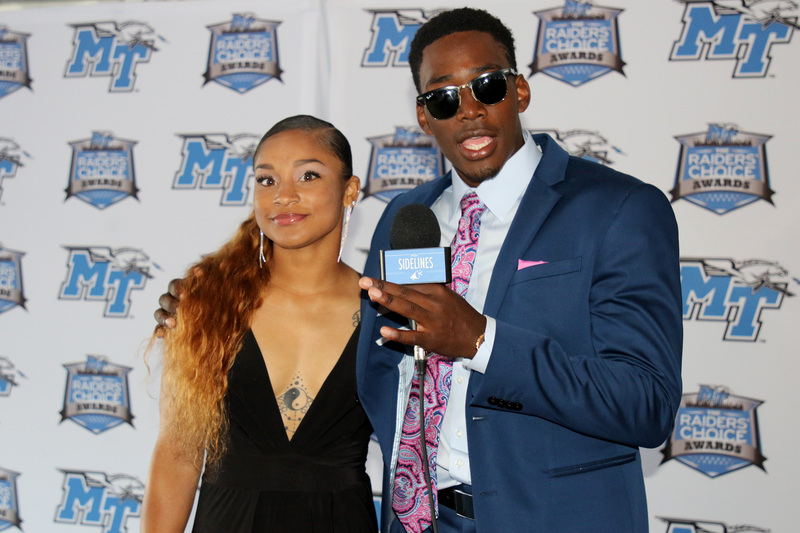 Just like on TV, the young athletes don their very best and stroll across the path eager for interviews, while cutting up and looking to get their time in the spotlight. 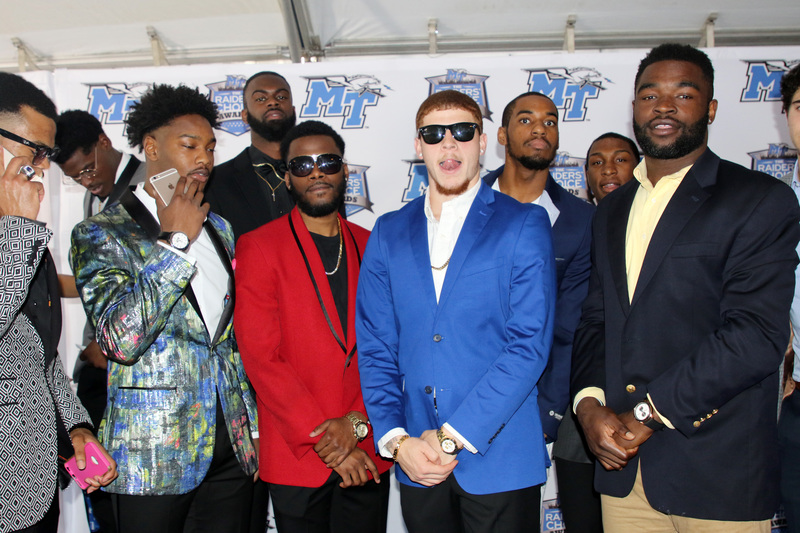 A treat for all and memories for a lifetime, there is truly something magical about a red (or blue) carpet. 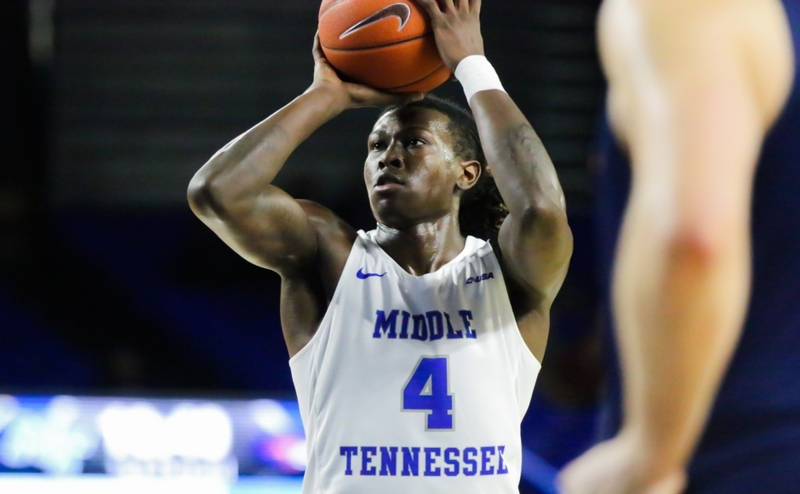 PLAY OF THE YEAR: Reggie Upshaw’s 3-pointer to extend the Blue Raider lead over Minnesota by seven with 6:24 remaining in the opening round of the NCAA Tournament.